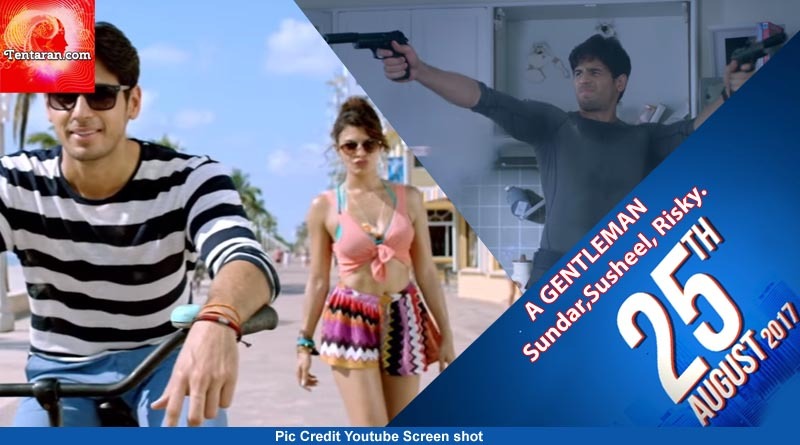 A Gentleman – Sundar, Susheel, Risky is the story of Gaurav who is content with his life and wants to settle down with Kavya, his dream girl. Kavya feels that Gaurav plays rather too safe and looks forward to someone more adventurous and risky. Soon the life story of Gaurav takes a drastic turn due to a mistaken identity crisis in his life. The movie offers a roller-coaster ride, with action, romance & laughter, taking the viewers on an unpredictable and hilarious, thrill ride.